It looks like things could’ve been very different if Dyson hadn’t decided to shelve a working smartglasses prototype more than 10 years before Google’s Glass was created. And here we were thinking that the company just created vacuum cleaners. The Dyson Halo was originally developed in 2001, and was a pair of augmented reality goggles featuring a full-colour 3D heads-up display. Sound familiar? The glasses were head-mounted on a frame that sat around the back of the head and were powered by a pocket computer. 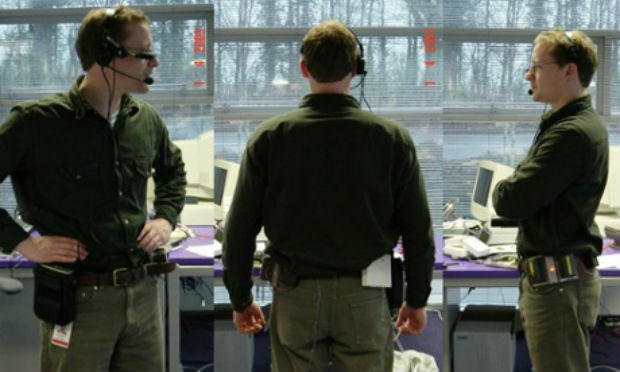 Halo worked as a communications device, but also as a pocket PC, using audio and visual prompts to overlay information on the real world. Not only did Dyson create smartglasses before the giant search engine firm, but it also created something resembling Apple’s Siri – a virtual assistant to help the headset wearer, that could read out emails and interpret basic voice commands. Users typed on a projected virtual keyboard which could track finger motions, while a wrist-worn device acted as a mouse pointer. The headset could also be used as a simple display for a separate computer. The project ran for three years, but was eventually shelved as part of Dyson’s focus on the US, but details of it were released as part of the company’s 21st birthday.